The Van Gogh Museum teamed up with highly-acclaimed LOQI to bring you a fusion between art and fashion. 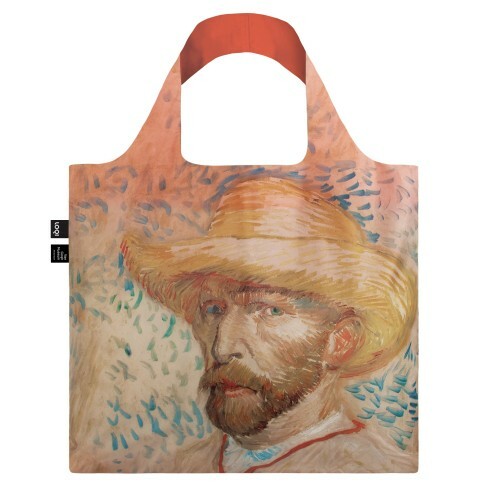 This fabulous tote bag printed with Van Gogh's Self-Portrait with Straw Hat can be carried wherever you go. The lightweight material can be folded into a small pouch of 11 x 11.5 cm, which will easily fit in your handbag. The bag has a delicate line drawing by Van Gogh on the backside. With a handle of 27 cm, this versatile bag can be worn as shoulderbag or shopper.